Yuma Takeshita, who plays a modified bass guitar that he calls an electro-bass, and drummer/percussionist Yuji Ishihara have established reputations for musical excellence. 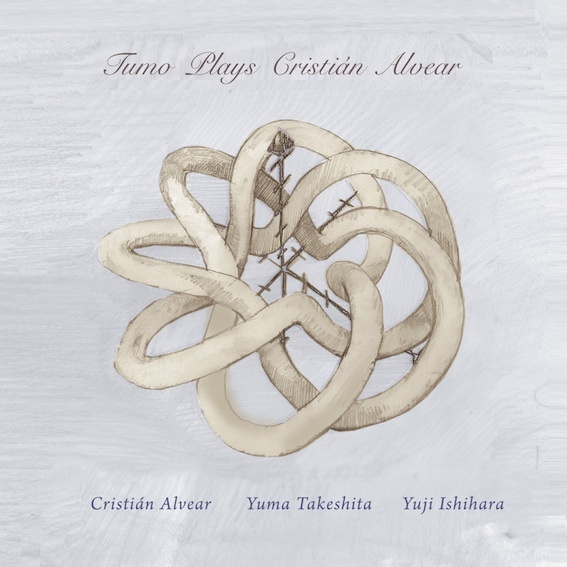 Takeshita and Ishihara perform improvised music together in their duo project, Tumo. In 2017 Tumo gave a series of four concerts at Ftarri in which they performed composed works. 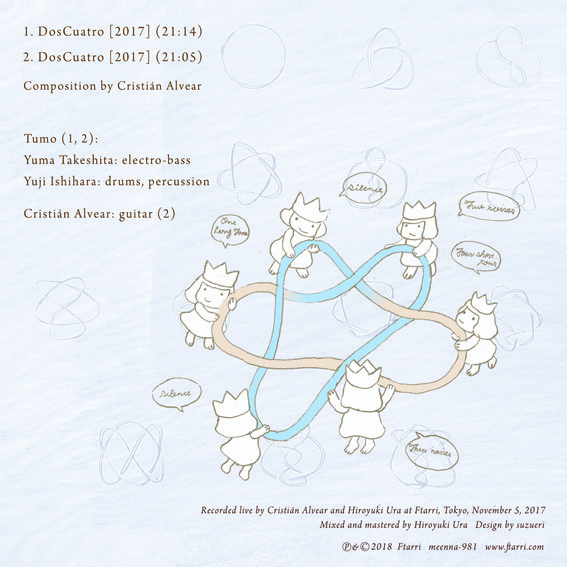 On the occasion of a visit to Japan by Chilean guitarist Cristián Alvear, the duo performed "DosCuatro" , a text score work they had commissioned from Alvear, at the final concert of the series on November 5, 2017. The concert consisted of two performances of "DosCuatro": first it was played by Tumo only, and then as a trio by Tumo and Alvear. This CD documents both performances, each about 21 minutes long. Both are superb, and it's due to the wonder of Alvear's score and playing that the same piece can change so greatly with different performances.